Being a mom requires a huge amount of energy, especially in the beginning. Mother’s Day is the perfect time to celebrate motherhood and to help make Mom’s day a little easier with a thoughtful gift. Gourmet food gifts can be tremendously helpful for busy new moms who may be wrestling with modern strollers and battling sleepless nights. And no matter how exhausted they may be, moms know how important it is to eat healthy. Balancing the needs of an infant with cooking can be uniquely challenging. 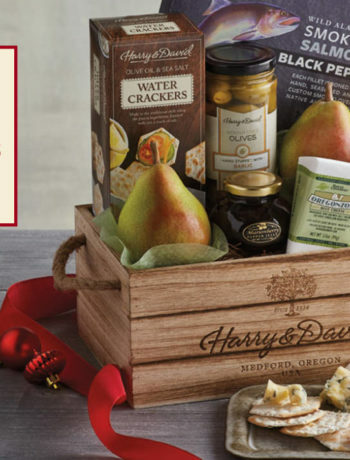 Gift baskets for new moms that feature easy-to-prepare meals are sure to be a welcome sight, as are wholesome gifts with delicious snacks. Consider an impressive basket of fresh fruit, handpicked from the orchards, or a monthly Club gift for new moms with an array of premium fruit, sweet treats and beautiful blooms that she’ll enjoy receiving every month. This Mother’s Day, remember to recognize new moms. Gift baskets are just one of the ways you can support them and their new role as a mother. There will be many firsts in the years ahead. Let one of them be a memorable Mother’s Day she’ll never forget. Order by May 5 for Mother’s Day gifts to arrive right on time.